If you’re keen to eat low calorie, you’ll need to have some tasty low calorie lunch box ideas to stop you from being tempted by the unhealthy treats that are all too easy to grab at lunchtime. A healthy, low calorie lunch box that you’ve put together at home takes some organisation, but you’ll save money as well as knowing that what you’re eating is good for you. Here are some low calorie lunch box ideas that are easy to make the night before, so all you have to do is pack it up in the morning. The traditional Japanese packed lunch is great for low calorie lunches because the ingredients are healthy and the boxes are quite small! You can use any plastic box with compartments, or buy a cute bento online. The idea is that you fill the box with small, tasty ingredients cut into neat shapes. Popular low calorie ideas are sushi rice with a piece of grilled salmon or strips of beef, crudités and cherry tomatoes, with washed, chopped fruit for pudding. Mixed bean salads are perfect for lunch boxes because they’re filling, low calorie and easy to make from store cupboard ingredients. They don’t even need to be refrigerated, making them perfect for offices without kitchen facilities. Try using a variety of tinned beans – kidney beans, pinto beans, borlotti beans and haricot beans are perfect – and add in a tin of chickpeas for extra fibre. You can use dried beans and soak them yourself, but you have to remember to soak them! Make a dressing with a little olive oil, chopped chilli, a dash of red wine or cider vinegar and lots of chopped fresh herbs. You can vary this bean salad by adding in some crumbled feta cheese or little balls of mozzarella. 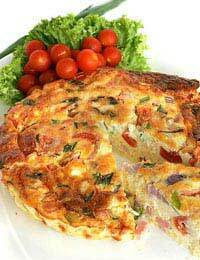 Frittata is also known as Spanish omelette and it’s the perfect low calorie lunch box ingredient. You can make it easily and cheaply using leftovers, but you will always need eggs and potatoes. Start by whisking two eggs per person (or make a large frittata to last for a few days) and add in plenty of seasoning. Chop up some boiled potatoes (this even works with leftover roast potatoes) and fry them in a large pan in a little olive oil. Chop up whatever vegetables you have (steam them briefly if they’re fresh or not if they’re leftovers) and add them to the pan with whatever protein you have (pieces of ham, leftover roast meat). Pour over the egg mixture and leave to set. You can add in some grated cheese but this increases the calories considerably. Cook the top under the grill and, when cool, cut into wedges. Don’t forget jelly when you’re looking for low calorie items for your lunch box! Sugar free varieties are a great way to have a sweet treat without adding calories. It’s easy to make jelly in lunch box-friendly plastic tubs. Chop up fresh fruit or add tinned fruit (although not pineapple as it contains enzymes that stop the jelly from setting) to the bottom of the tub and pour the jelly on top. Leave to set in the fridge. Cous cous is great for low calorie lunch boxes because it only takes about five minutes to make it. Simply boil a kettle and add a stock cube to boiling water, double the volume of water to cous cous. Let it sit for five minutes to soak up the water while you get yourself ready! You can add in any leftover vegetables or meat, although tinned tuna, chopped spring onions and lots of parsley is great for lunchboxes. A few chilli flakes are good too, and you can add dried fruit and spices for extra interest.